My son doesn't watch much TV but when he does, his favorite channel by far is PBS! He loves every show they offer! His favorites are Arthur, Super Why! and his very favorite: Dinosaur Train! So you can imagine how excited he was when I told him that PBS Distribution just announced the release of new PBS Kids programs that will help educate kids on bullying, star gazing, making healthy treat decisions, and what it means to be a "big kid". Among the new programs being released are his favorites like, "Arthur Stands Up to Bullying," "Dinosaur Train: Nature Trackers," and "Super Why! : Hansel & Gretel: A Healthy Adventure,". They will be available on DVD July 16th and are the perfect educational entertainment that parents need for children while traveling, at home, or on play dates this summer. Check out below for more information about each new program! 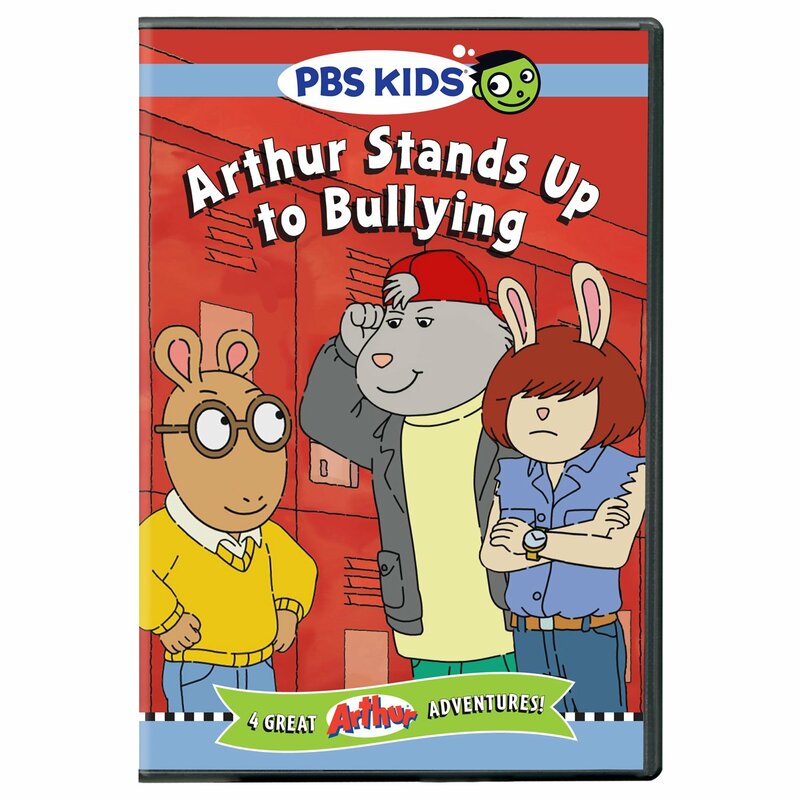 As teachers and parents across the nation educate kids about the impact of bullying, the new DVD “ARTHUR STANDS UP TO BULLYING” presents an outstanding way to reinforce those lessons. In four entertaining episodes, the world’s most famous aardvark, Arthur Read, and his family and friends, stand up to bullying, learn about teasing, and think about friendship. Almost 10M households tune in to watch “ARTHUR” each month! The series has been honored with numerous awards, including three Daytime Emmy Awards® for Outstanding Children’s Animated Program, as well as the prestigious George Foster Peabody Award. Aimed at viewers between the ages of four and eight, “ARTHUR’s” goals are to help foster an interest in reading and writing, to encourage positive social skills, and to model age-appropriate problem-solving strategies. Based on the children’s books by Marc Brown, the show chronicles the adventures of Arthur through engaging, emotional stories that explore issues faced by real kids. It is a comedy that tells these stories from a kid’s point of view without moralizing or talking down. Hop aboard the Dinosaur Train this summer – the perfect time for kids to learn about the natural world around them. 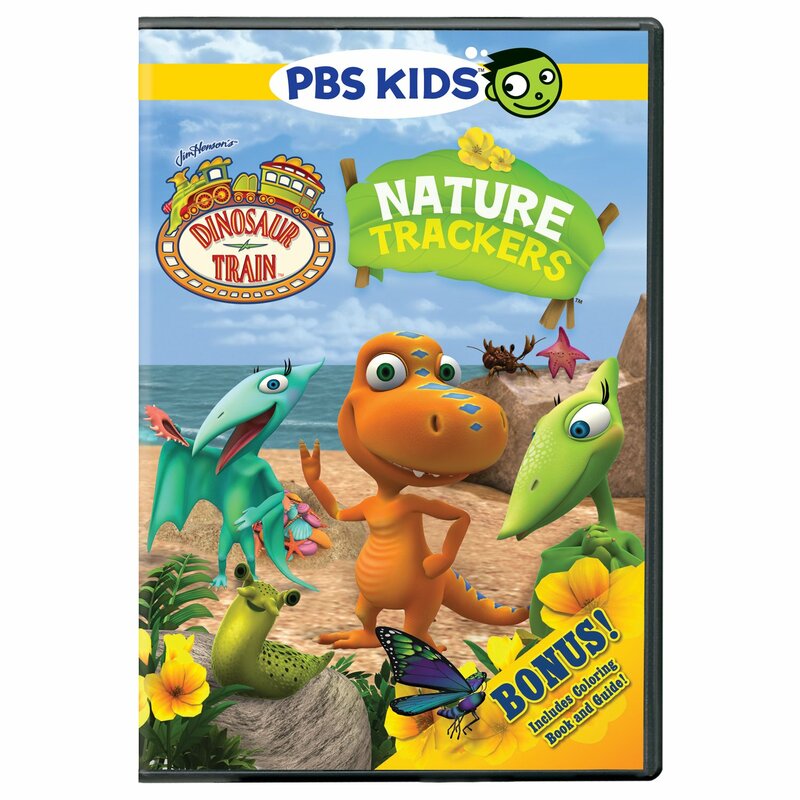 DINOSAUR TRAIN: NATURE TRACKERS is chock-full of adventure and fun, teaching young explorers about stargazing, snakes, wildlife diversity and nature’s life cycle. 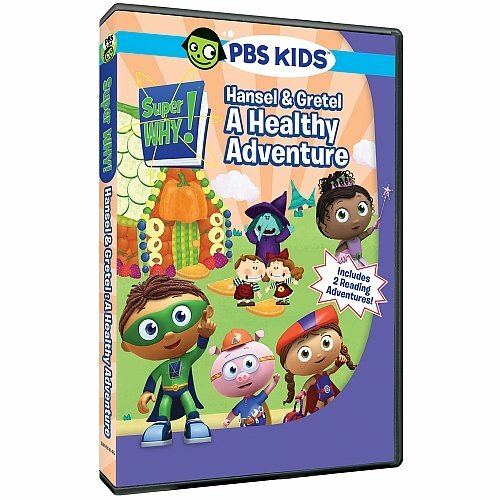 In the eight episodes featured on this DVD, Buddy plants a garden, visits an ancestor and builds a clubhouse (for the Nature Trackers of course). To encourage current or future Nature Trackers Club members to get outside, the DVD comes with a free Nature Trackers Club coloring and guide book. More than 11M households tune in to watch “Dinosaur Train” each month! “Dinosaur Train” is produced by The Jim Henson Company. “DINOSAUR TRAIN” embraces and celebrates the fascination that preschoolers have with both dinosaurs and trains, while encouraging basic scientific thinking skills. Buddy and his adoptive family of Pteranodons go on whimsical adventures through prehistoric jungles, swamps, volcanoes and oceans as they unearth basic concepts in natural science, natural history and paleontology. The Dinosaur Train is a colorful locomotive, customized to accommodate all kinds of dinosaurs and has the ability to visit the Triassic, Jurassic and Cretaceous worlds. The Train’s Conductor, a knowledgeable Troodon, provides passengers with fascinating facts along the way. Bonus Features: Free printed Nature Trackers Club coloring and guide book, interactive “How Big?” game, and PDF coloring pages and activities. What better way for kids to learn how to make healthy food choices than by following their favorite Super Readers! In “SUPER WHY! : HANSEL & GRETEL: A HEALTHY ADVENTURE” the reading superheroes go on two full-filled adventures. Along the way they learn about unhealthy snacks, different types of foods, the benefits of healthy food choices and impart critical skills kids need to learn to read. In “Hansel & Gretel: A Healthy Adventure,” the Super Readers convince the witch to trade in her gingerbread house for nutritious snacks, and practice their spelling skills. In “King Eddie Who Loved Spaghetti,” our superheroes convince King Eddie to taste new foods, and introduce kids to the meaning of the word “ripe.” More than 10M households tune in to watch “SUPER WHY” each month. “SUPER WHY” is a breakthrough preschool series designed to help kids ages 3 to 6 with the critical skills that they need to learn to read (and love to read!) as recommended by the National Reading Panel (alphabet skills, word families, spelling, comprehension and vocabulary). Bonus Features: Music videos, interactive games, color pages and resources for parents.